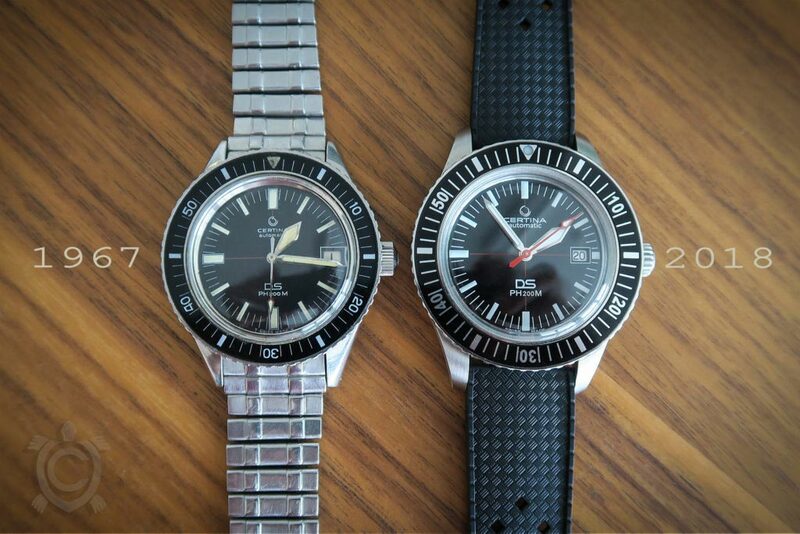 In the 1960s and 1970s, Certina demonstrated the robustness of its own timepieces in a series of research projects and expeditions. 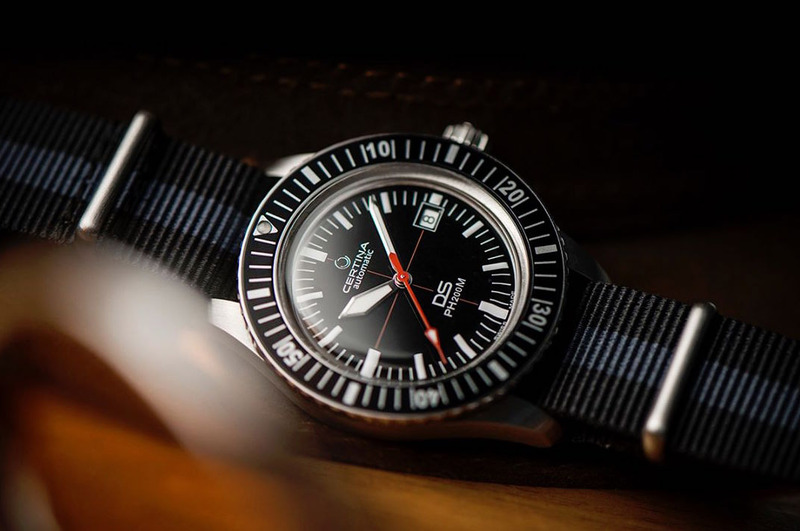 This experience inspired the brand to develop a new timepiece dedicated to life under the sea: the DS PH200M from 1967. This year, on occasion of the Baselworld trade show, the brand founded in 1888 in the Swiss town of Grenchen presented a re-edition of this classic which has now hit the stores. 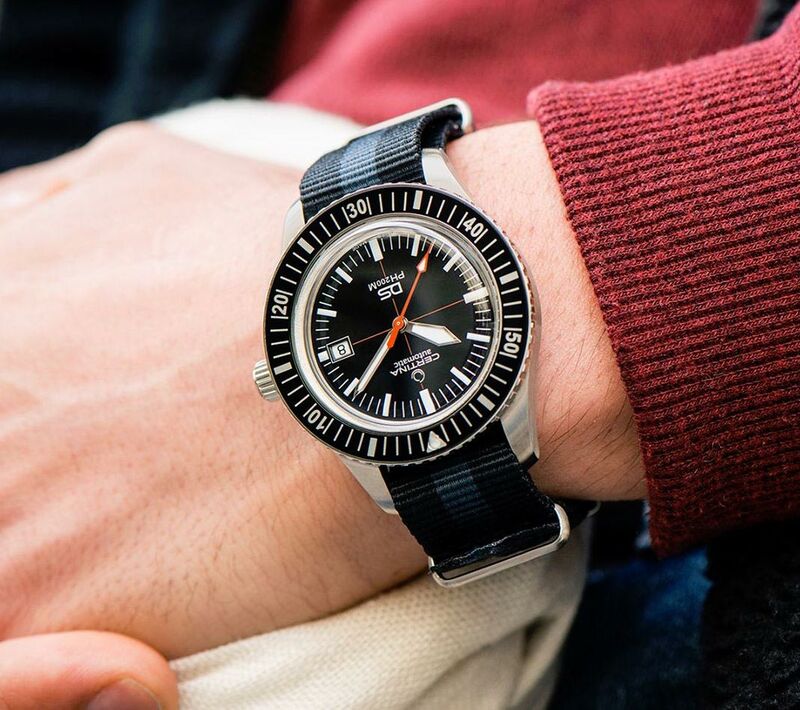 The new DS PH200M diver's watch comes in a stainless steel case which is much larger than the original (42.8 mm vs 38 mm) but maintains the same proportions and design. The new size is certainly more in line with the current trends for a divers’s watch and does not affect its wearability. Framed by a black unidirectional bezel graduated in its entirety to 60 units, the black lacquered dial offers excellent legibility thanks to the contrasting white Super-LumiNova-coated hands and indices. The red colour used for the seconds hand and the central cross in the dial – reminiscent of location-mapping instruments - adds a very nice touch. The rounded hesalite box glass features an anti-reflective treatment on one side as well as a special NEX Scratchguard coating for enhanced scratch-resistance. The watch is delivered with a brown calfskin leather strap and a second NATO fabric strap with black/grey stripes for a more casual look. 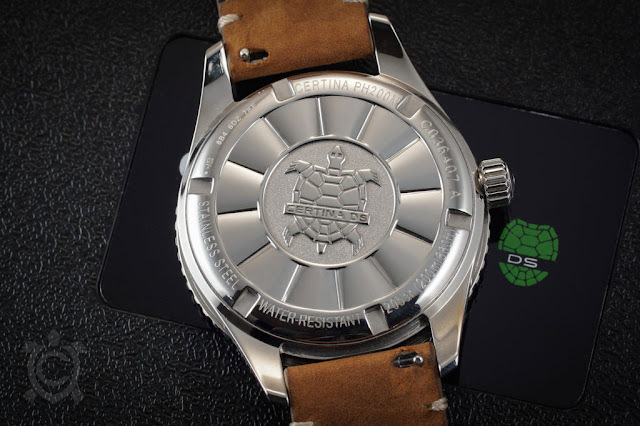 The case back of the watch is engraved with a turtle, the symbol that Certina started using in 1959 to represent robustness and longevity. 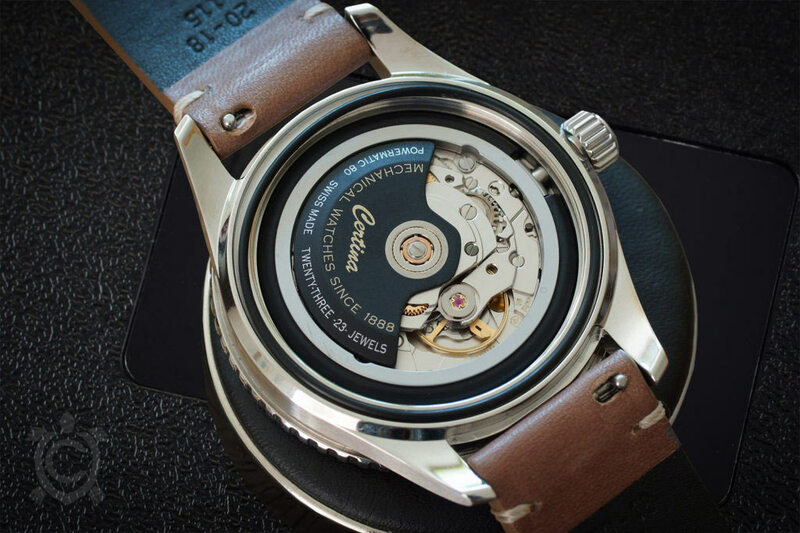 Inside, the reliable ETA Powermatic 80.111 automatic movement beats at 28,800 vibrations per hour with an autonomy of 80 hours. This looks a very nice model and the price very good. Interested to see it in the metal. Maybe you have not to spend 4000 Euros to have a decent diving watch! Il mio prossimo Diver ! 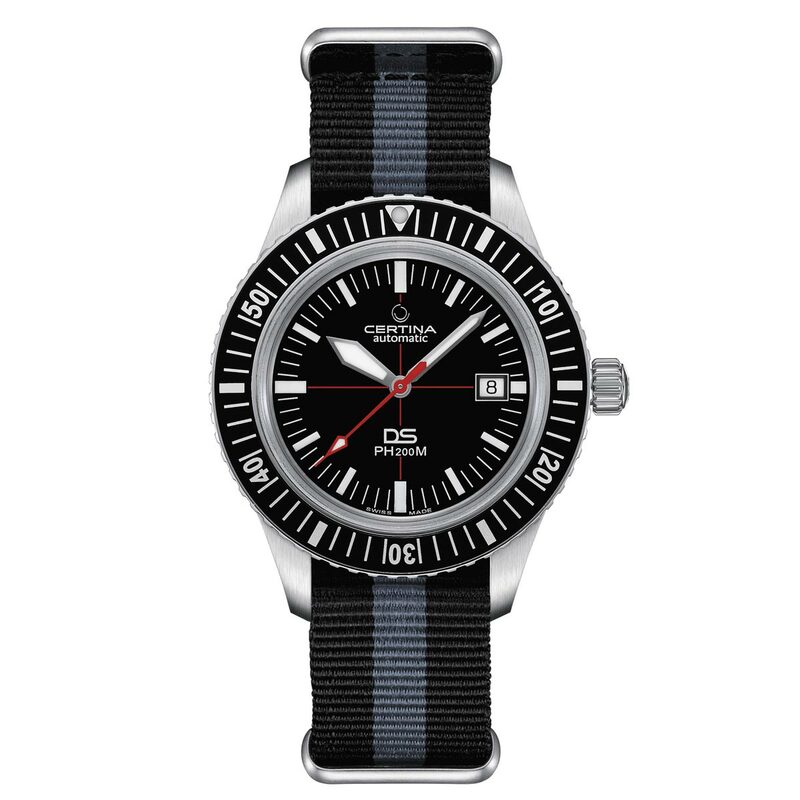 In 1967 Certina developed the DS PH200M watch a new timepiece dedicated to life under the sea. 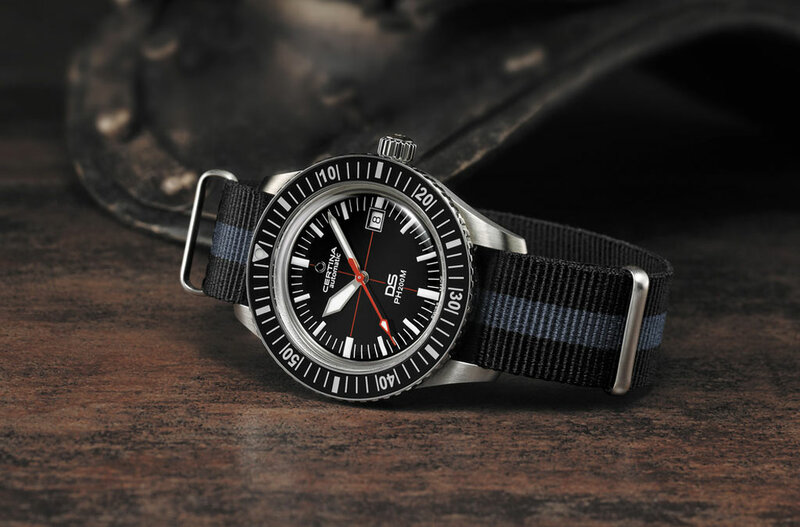 In 2018, on occasion of the Baselworld trade show, the brand presented a re-edition of this classic diver’s watchwhich has now hit the stores. Price/specs of the Certina DS PH200M (C036.407.16.050.00).